This is a guide about making an apple-peanut sandwich. If you are looking to have a sandwich without all of the carbs, make one of these delicious apple "sandwiches". Apple slices replace the bread and it is filled with peanut butter. You could add nuts or dried fruits to create a variety of flavors. A twist on peanut butter sandwiches and apple with peanut butter dip! Great for lunchboxes or a treat anytime for the family! 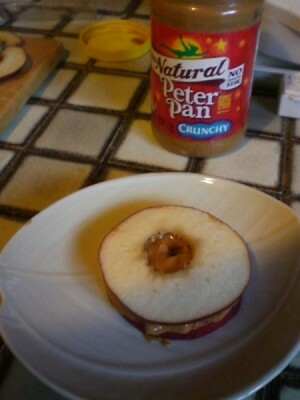 Simply core your apples, slice thin and add peanut butter inside each 'apple sandwich'. Great, juicy and healthy fun snack! 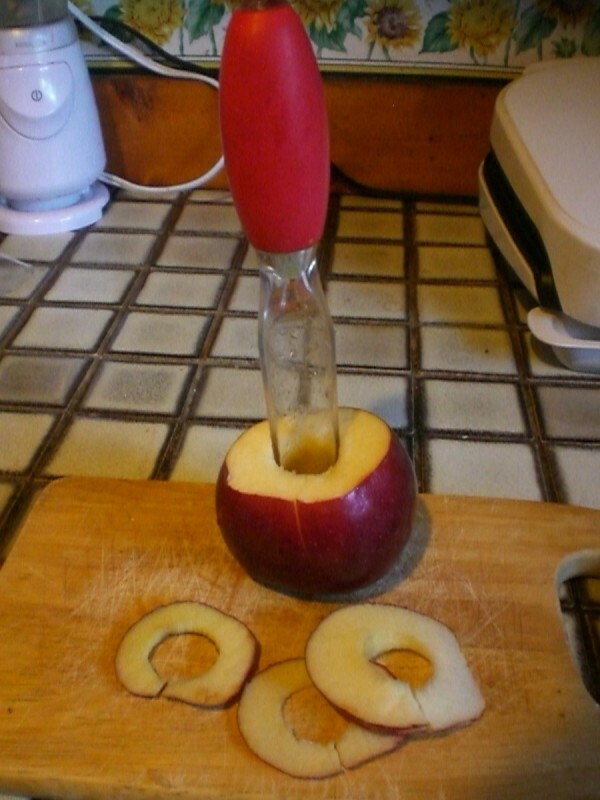 Use an apple slicer, or slice your own wedges and place them in plastic bag. Dip into peanut butter for a great quick snack free of sand at the beach.